Run the World’s Fastest 8K on a brand new (even faster!) figure-8 course on beautiful candle-lit streets with a rousing finish inside J. Fred Johnson Stadium. 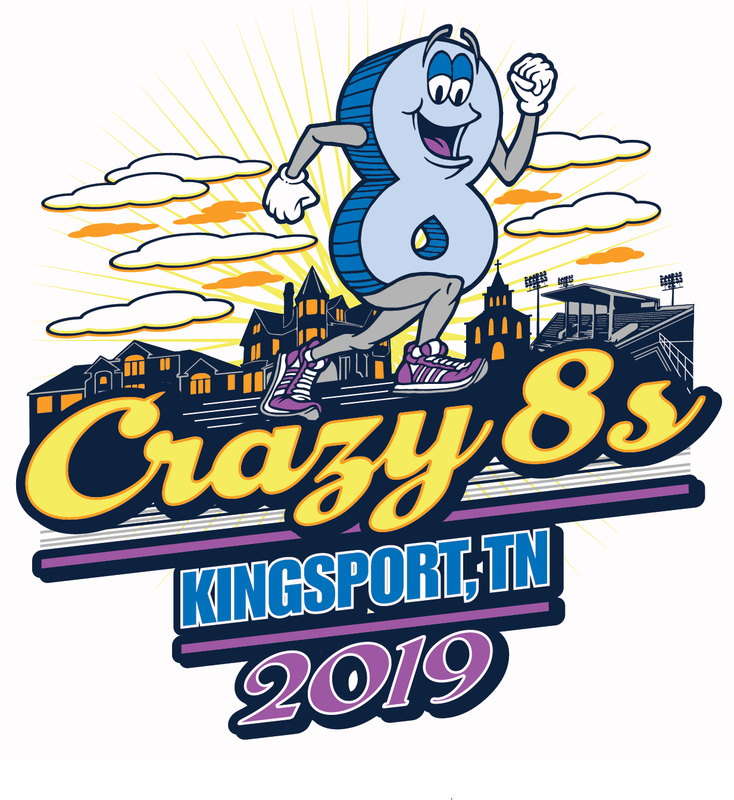 Crazy 8s is home to womens’ 8-kilometer world record (Asmae Leghzaoui, 24:27.8, 2002), and held the men’s world record (Peter Githuka, 22:02.2, 1996), until it was broken in 2014, and again in 2018. 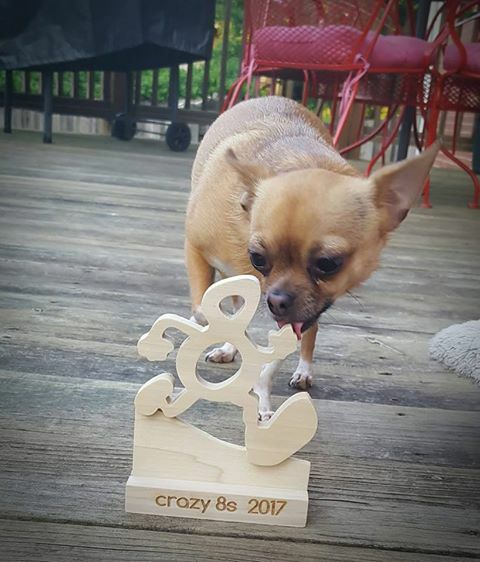 Crazy 8s wants that mens’ record back and we’ll be going for it this year! 8K and Totally Crazy entries will receive a vintage-style, high quality, soft-tech performance t-shirt from Threds (see picture). Always a collector’s item! 3K and Little 8s will receive a cotton blend (same design). 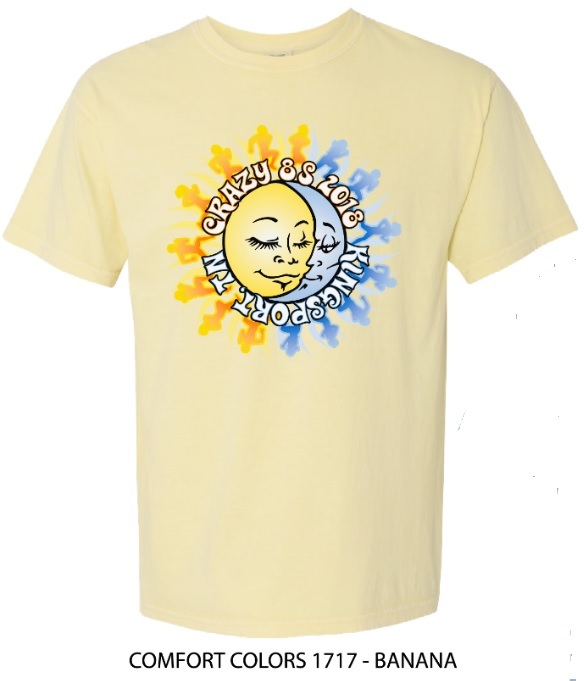 T-shirts guaranteed to those who pre-register by July 10th (note: sizes are not guaranteed, but we will try our best to reserve the correct sizes for pre-registered participants). Those who register after July 11th will receive shirts as they last. 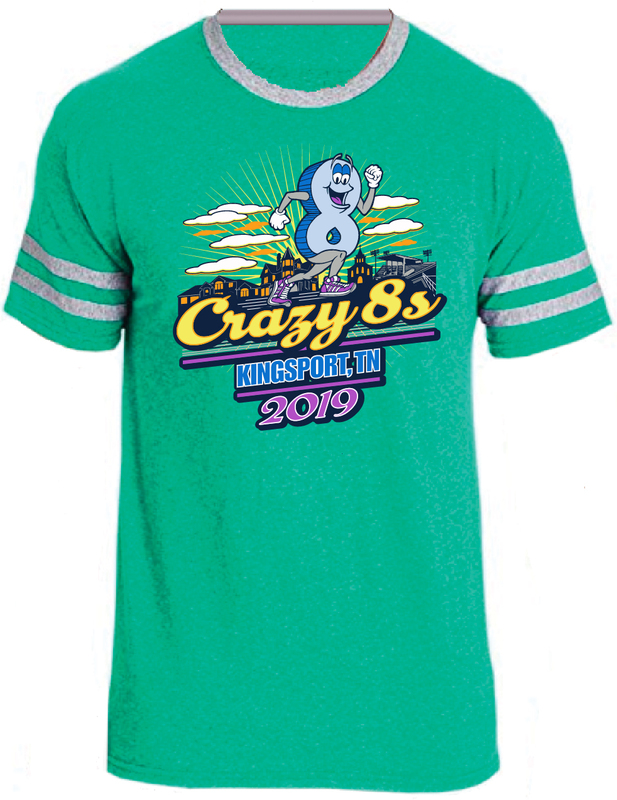 Unique Crazy 8s Medals – Very nice and unique Crazy 8s medals presented to finishers in the 8K run. Courtesy of The Regional Eye Center. Snacks and refreshments from Food City!